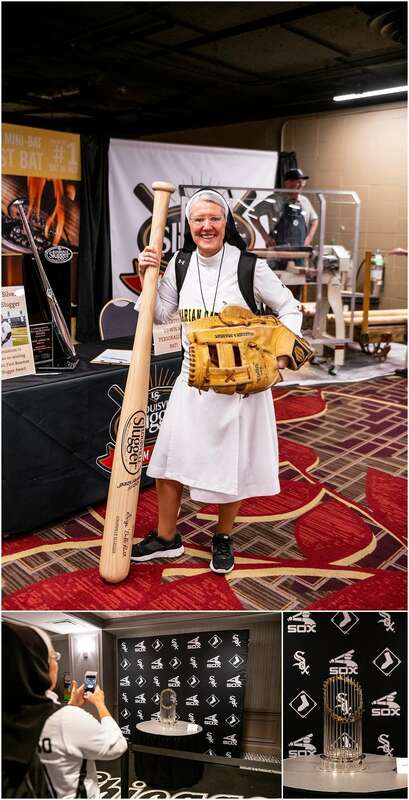 Sister Mary Jo Sobieck visited Soxfest 2019. 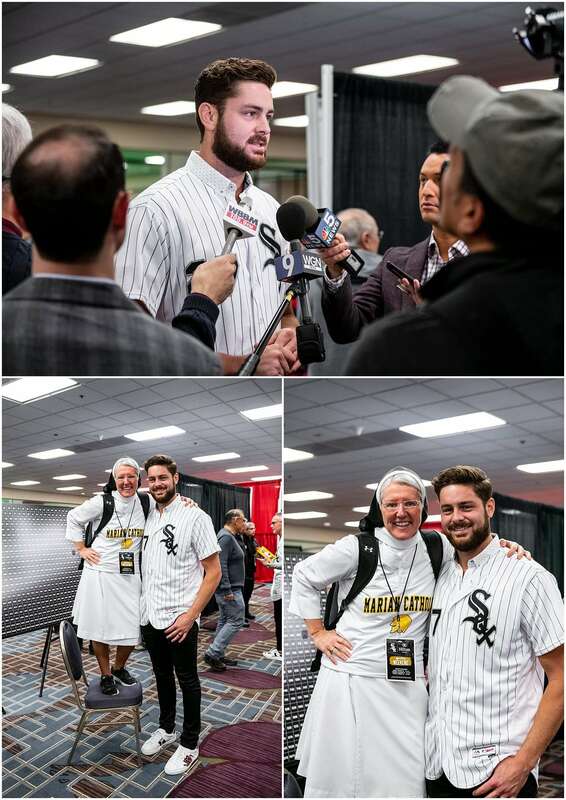 After she threw out her famous first pitch at the White Sox game this past season, Daniel Palka tweeted Marian Catholic asking for a Sister MoJo jersey. 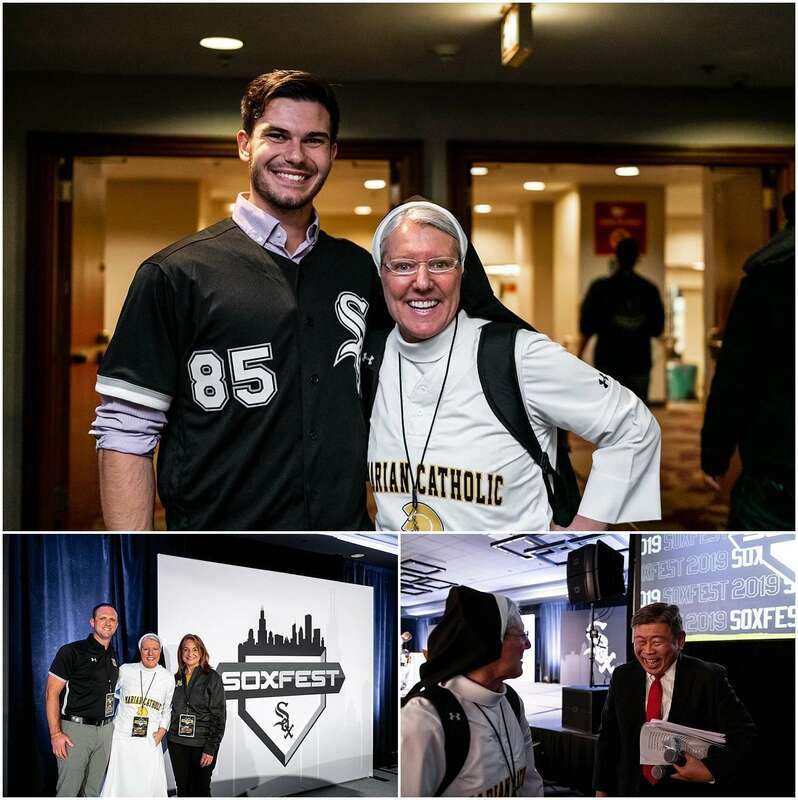 So this past Friday, she gave Palka a Marian Catholic jersey and personalized bobblehead. 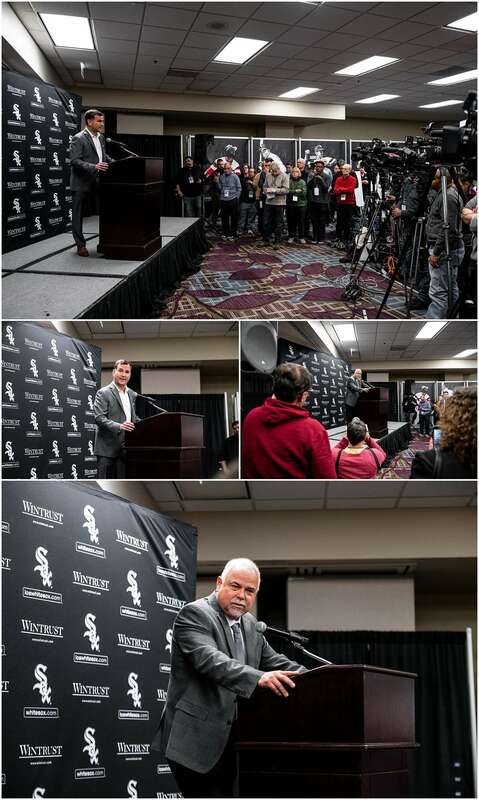 We spent the afternoon meeting managers and players past and present including Ricky Renteria, Ozzie Guillen, and Lucas Giolito. 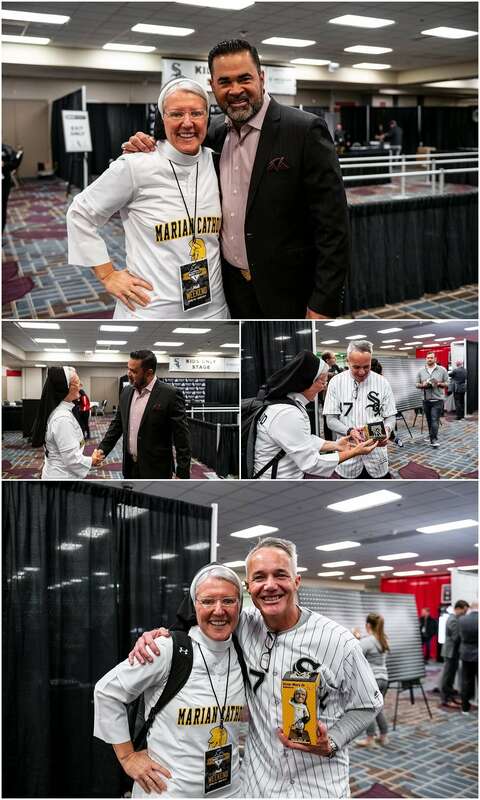 Sister Mary Jo should have had her own table with all the fans that were stopping and asking for photos! 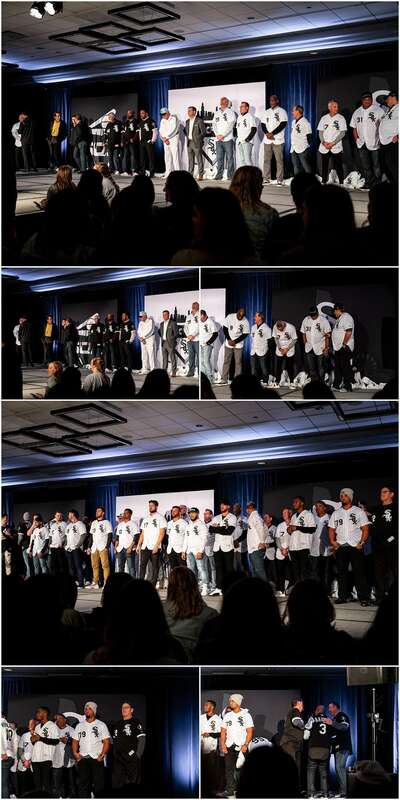 It was so great to see all her fans.